The CORSAIR K70 RGB MK.2 SE is a premium mechanical gaming keyboard built to last, with silver aluminum frame, CHERRY MX Speed keyswitches, white PBT double-shot keycaps and stunning per-key RGB dynamic backlighting. 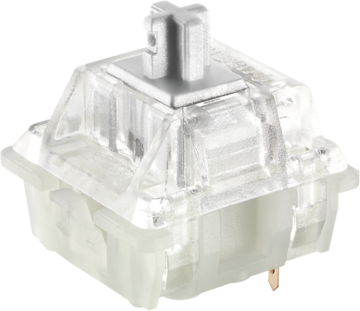 CHERRY MX Speed mechanical keyswitches provide the reliability and accuracy you demand, with blistering fast 1.2mm actuation. Stand out with a special silver anodized brushed aluminum frame and stunning white precision-molded, double-shot keycaps. Built to turn heads and withstand a lifetime of gaming. Precision moulded white double-shot keycaps that never fade. Take all your macros, lighting profiles and shortcuts with you, with three stored profiles that work without extra drivers or software.